National Retail Federation (NRF)'s Annual Convention & EXPO, also known as the "Retail's BIG Show", is right around the corner. Taking place annually in New York City, Retail's BIG Show is NRF's flagship industry event that offers unparalleled education, collegial networking, and an enormous EXPO Hall full of retail technologies and solutions. The event brings together 27,000 retail professionals and vendors from more than 80 countries. The convention also includes 125 education sessions, nearly 300 speakers, and more than 500 exhibitors showcasing innovative technology. If you are part of the retail industry, this is THE show to check out. Retail's BIG Show is the premiere place for you to experience all things Retail – it’s a one-stop-shop for gaining industry knowledge, learning about the latest retail technologies, networking and more. 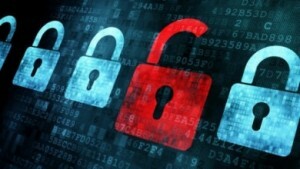 Security breaches on various networks have grown in occurrence in the last few years. The infamous Target breach of 2013 has left many retailers concerned about the security needs of their respective businesses. As retailers look to implement their 2016 strategies, payment security will tend to be top of mind. If you are at NRF, you can get expert advice on how to tackle your payment concerns in 2016. Get guidance on a multi-layered security approach to payments, learn about point-to-point encryption (P2PE) and tokenization, and protect your business in 2016 (and beyond). The payment technology landscape is constantly evolving with new solutions, new competitors and increasing consumer demands. Mobile point of sale (mPOS) has gained popularity among many retailers for tasks such as line busting and in-aisle checkout. Another new payment technology that is helping to re-invent the retail experience is unattended or “self-service” payments. 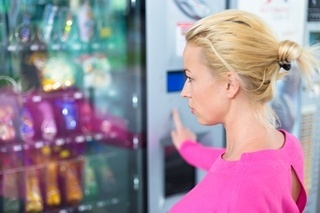 Vending machines and self-service kiosks are not new to retailers, but traditionally they have been known to only accept cash. Newer solutions now accept both credit cards and NFC payments. Most people must have seen numerous iterations of vending machines at airports that sell high ticket items. These can also be incorporated within the retail environment for products that require minimal consultation from sales representatives. Additionally, these new solutions will be EMV and NFC-ready, so the payment transaction will be more secure and aligned with the latest payment standards. As retailers review their strategies for 2016, mPOS and unattended solutions should be a part of their consideration set. The show will offer them access to industry experts to gain more guidance on the best approach with these solutions in 2016. Within the payments ecosystem, it’s important to work with a diverse range of partners in order to provide retailers with innovative payment solutions that meet their specific needs. We are excited that so many of our partners will be present at Retail’s Big Show showcasing our payment solutions. If you are attending the show, be on the lookout for Ingenico Group terminals at our partner booths, take a photo and tweet it out with the #IngenicoNRF hashtag and our partner’s Twitter handle to instantly win a Starbucks gift card and get entered into our daily grand prize drawing! Don’t forget to visit our booth 1743 for more details. We will also be making some exciting announcements at the show about the future of payments and the company. Come by our booth to learn more about these announcements and to speak with our experts about your retail strategy for 2016 and your payment technology needs. While you prepare for the show, download our retailer’s playbook and start thinking about how you can grow your business in 2016. Mark your calendars - Retail’s Big Show is coming to New York City on Jan 17-19, 2016. We hope to see you there!